When we go to bed at night, are the contents of our refrigerators, utility shelves and medicine cabinets throwing wild parties, getting amorous, acting out plays and engaging in cannibalism? 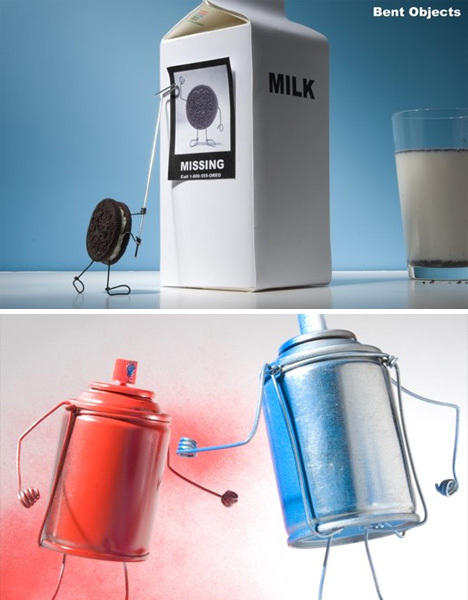 Maybe not, but it’s fun to imagine them getting up to all kinds of mischief behind closed doors, and that’s exactly what a photo series called “Bent Objects” by Terry Border illustrates. “Bent Objects” began with the artist making little wire sculptures to sell. Border took photos of his creations and posted them on his blog, eventually finding that people were more interested in photographs of the sculptures acting out comical scenarios. 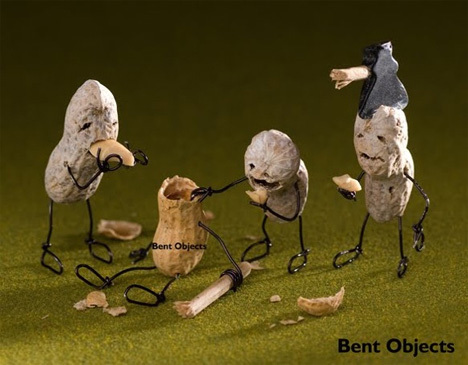 Over 70 of Border’s funniest photos are featured in his new book, “Bent Objects: The Secret Life of Everyday Things”. 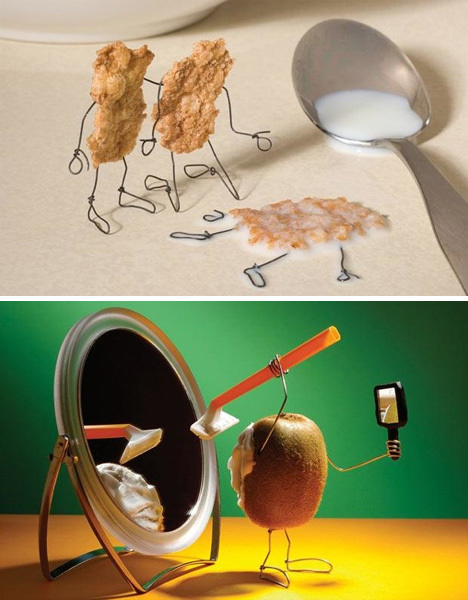 Many of the situations that the animated objects find themselves in would be disturbing if the subjects were people – as in “Cereal Killer”, in which the remains of a cornflake drowned in milk are mourned over by two relatives. 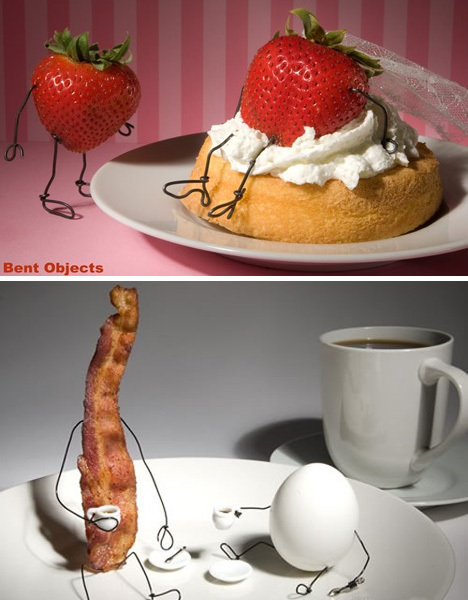 But there’s just no denying the humor in anthropomorphized food with wire limbs.